thanks a lot for this very powerful and informative !!! wow, can't believe I missed this the first round. 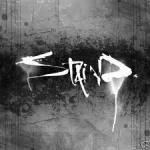 Awesome post, staind! Thanks bakfed and everyone else! Good luck with the GMAT and the journey ahead! Wow, Staind ! I see why you got admitted in Wharton Congrats! As some people have pointed out, your post is truly inspirational. I am happy I am reading it now as I'm in a bit of a critical situation . Thank you very much! I learned some of the things the hard way - such as the notion of being flexible and adjusting the study plan considering my condition and need for improvement in certain areas. Lately, I have been a bit overwhelmed by the difficulty of some problems online and that made me think, I would not make it. Those thoughts creep in the mind unnoticeably and panic gets the best of me. Well, it shouldn't. We cannot be expected to solve every single problem to score well, can we? I have one additional question though - what did you do to boost your performance in RC? Have you encountered some problems during your study/mock tests and how did you tackle them? Thanks for the feedback! For RC, I got the Kaplan LSAT books and worked through parts of those.. the LSAT books go much more in depth in to RC than any GMAT material and have tougher questions which makes the GMAT questions look much easier to manage. The question types and format is the same between GMAT and LSAT so if you have the time and motivation I would highly recommend using the Kaplan LSAT books. They also have dedicated books for improving certain areas e.g. scoring, speed, endurance so if there is a particular aspect you want to target you can focus on it exclusively. by tests do you mean practice CATs? Yeah I had a hard time figuring that out as well. My biggest fear was running out of practice CATs to do too early. But then when you add the GMAT Club Tests and consider doing the same CAT more than once there is really ample material available to last any study plan/time frame. You should definitely save one of the GMAT Preps for towards the end because thats the closest thing to the real thing. Other than that more than anything the benefit from doing practice CATs is to build endurance so if you can do at least two a week during your preparation including one that simulates real exam conditions to the closest extent possible you should be in good shape by the time you sit for the real thing. Thanks, to start with, mine is going to be a slow paced schedule considering I have an exhausting job on both fronts: office- 9 to 10 hrs at work as a research earthquake engineer, and home-dealing with an active 2 year old. I started with OG ed12-redbook, done with CR, PS totally, now working on DS and RC as and when it permits. I had before this completed all 3 verbal sections of the OG verbal book. I plan to give GMAT second week of sept 2011 and am targetting to start my part-time mba at haas-berkeley in fall 2012, so need to get past 700. Please suggest what could be an ideal sequence to approach all the material available out there. I haven't given any CATs yet so can't give an estimate of where I stand. 3. Figure out where your weaknesses are and start working on them - set yourself small goals e.g. 10 hours of study time over this coming weekend, 2 hours of SC tonight, complete the MGMAT Number Properties book over the next 2 weeks, etc. Gotta jump on the bandwagon and say this is an amazing post. Also wish I'd found it earlier. Nothing to do now but continue on the Wharton/Lauder waitlist and hope to be joining you this spring. Thanks Zebo.. good to see another Wharton/Lauder applicant here - which language track did you apply for? At least since Lauder starts soon you will find out one way or the other in the next few weeks and won't have to wait till mid summer. I'm not sure if you've been following other threads but Wharton has started to admit waitlisted applicants on a case by case basis so keep your fingers crossed! thanx.... gr8 tips... gud luck!!! !